and the Mojave Desert. 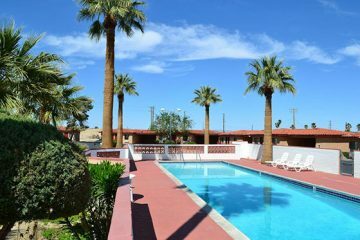 Hospitality is offered at historic inns and cottages, modern hotels, desert motels, RV facilities, and vacation home rentals. 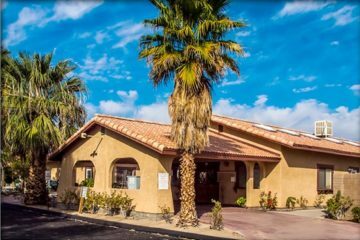 The historic 29 Palms Inn, family-owned since 1928, sits on 70 acres at the Oasis of Mara and offers adobe bungalows, cabins, art-filled restaurant, cocktail bar, poolside dining, acoustic music... more. Complimentary breakfast daily and dinner available Monday-Saturday at hotel restaurant next door, along with free use of pool, fitness center, and BBQ pits. Free Internet/WiFi access. Guest rooms have a... more. 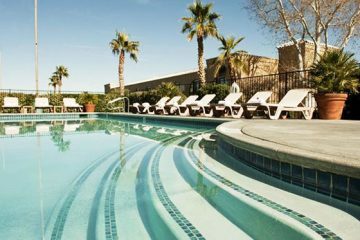 Retreat to our desert oasis in 84 newly renovated guest rooms. 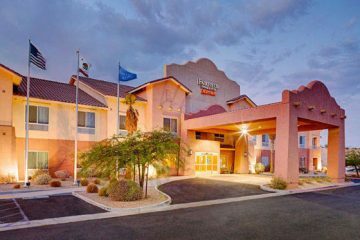 Enjoy the largest pool in 29 Palms, complimentary hot breakfast buffet, Wednesday night guest reception in the cafe area,... more. 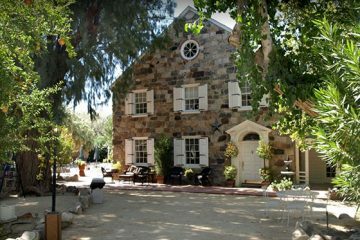 This 1928 stone mansion on 25 acres surrounded by Washingtonian palm trees is another historic inn of 29 Palms. Gardens, beautiful guest rooms, pool and hot tub. Grand piano in the... more. 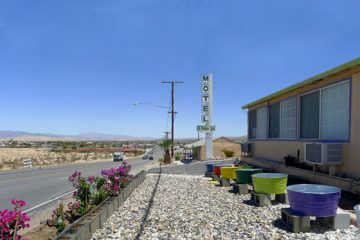 A long-established motel in downtown 29 Palms, hosting desert travelers from around the world since 1940. 31 rooms, singles to suites with kitchenettes, some carports. Rooms have mini-refrigerators, microwaves, satellite... more. 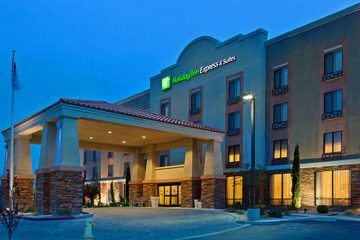 Fairfield Inn & Suites by Marriott offers a breakfast buffet, fitness center, business center, boardroom, lounge, pool, patio, BBQs, and 80 suites with wired/wireless Internet, AC, cable TV, microwave, refrigerator, in-room... more. 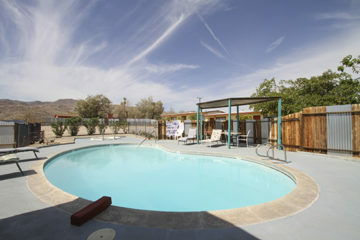 Rooms with a view, desert ambiance, privacy, quietness, and tranquility at this historic desert motel. Swimming pool and spa set against a mountain backdrop. Fully equipped kitchenettes available. Situated on... more. This four-story, 84-room hotel opened in 2010. 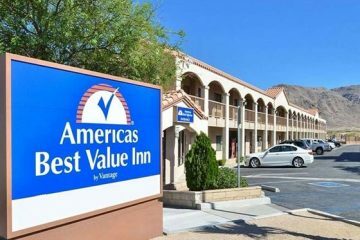 Complimentary breakfast bar, free WiFi, fitness center, swimming pool, 24-hour business center, guest laundry, conference room. The spacious lobby and lounge has tables and chairs,... more. Kids stay free, small pets ok. Free Cable TV, local calls, morning coffee. Coin laundry. Truck parking. 123 rooms with microwave, refrigerator available. Restaurant next door, supermarket nearby. Wi-Fi available... more. 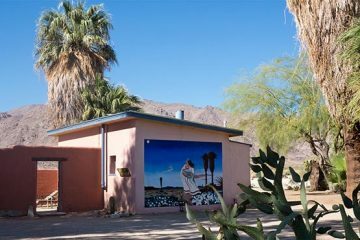 Perched on the top of Donnell Hill as you enter downtown Twentynine Palms from the west, with a view for miles, this quaint and colorful roadside motel has free WiFi, TV, HBO,... more. 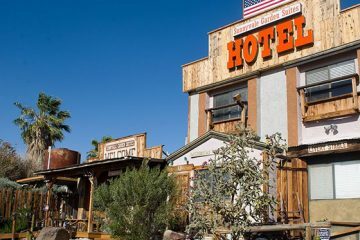 This award-winning hotel is located just minutes from the North entrance to Joshua Tree National Park and the Marine Corps Air Ground Combat Center. Nestled at the trailhead to Joshua... more. 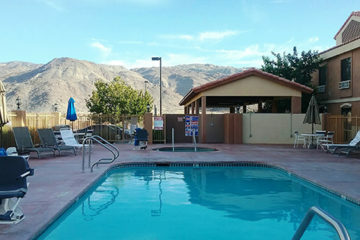 Condo-like living minutes from Marine Base and Joshua Tree National Park. Junior, 1 & 2 bedroom suites, fully equipped kitchens, BBQs, private patios, outdoor spa. Conference room. Wired/wireless Internet. Covered parking/carports. Extended stay rates. As... more. 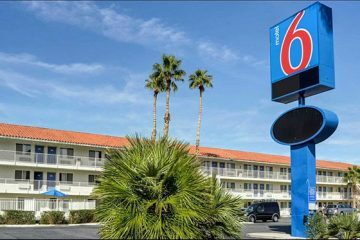 An ideal destination for RVers and visitors who want to enjoy the California desert, hiking and rock climbing, as well as snowbirds seeking a winter haven or fun getaway! Full hook-up... more.